NEW YORK, Sept. 4, 2018 /PRNewswire/ -- The Getty family today announced it will take full control of Getty Images Inc. ("Getty Images" or the "Company"), a global leader in visual communications, from The Carlyle Group ("Carlyle"). Through the transaction, the Getty family will acquire all of Carlyle's equity interests in Getty Images for cash plus units that provide Carlyle with an ongoing financial interest in the future growth of the Company. The transaction is subject to customary closing conditions and is expected to close by the end of the third quarter of 2018. "The Getty family is thrilled to resume control of Getty Images, a business that bears our name and one we strongly believe in," said Getty Images co-founder Mark Getty, who led the transaction on behalf of the family. "Getty Images is one of the world's great media brands and the company has delivered a significant repositioning in the past few years, investing in its products and people to capitalize on favorable sector dynamics and build on its industry-leading position." In recent years, Getty Images' equity holders have enabled the company to improve its competitive position by way of major investment in the way we market our products and services and the underlying infrastructure of the business, including technology and product enhancements. Management continues to focus on free cash flow generation to achieve meaningful deleveraging over the next five years. "In 2012, we invested in Getty Images alongside Mark Getty and the Company's management, with the aim of taking the Company to the next stage of product innovation and global growth. Today, Getty Images is well positioned to take advantage of market opportunities ahead, and we are pleased to retain an ongoing financial interest in the Company's future growth," said James A. Attwood, Jr., Managing Director of The Carlyle Group. The Company has started a process of refinancing its balance sheet, including the existing senior secured credit agreement to which the parties are the Company, the guarantors and JPMorgan as Administrative Agent. The process is expected to conclude in two to three months and may involve the marketing of a combination of loans, senior notes and preferred equity. Taking the planned refinancing together with the equity transaction announced today, management believes Getty Images' financial and competitive position will be significantly strengthened. Subject to closing of the transaction, Getty Images will also implement a series of leadership changes that will come into effect at the end of the year. 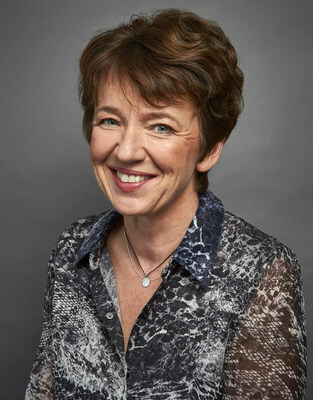 Getty Images' CEO Dawn Airey will become a Non-Executive Director, and Chief Operating Officer Craig Peters will assume the role of CEO. Upon closing of the transaction, Interim Chief Financial Officer Rik Powell will become CFO. In regard to other Non-Executive Directorships, also upon closing of the transaction, Mark Getty will become Chairman of the Board. Getty Images co-founder Jonathan Klein, the current Chairman of the Board and the Company's CEO for 20 years, will remain on as Deputy Chairman. Jonathan Klein will maintain his entire equity interest in the Company alongside the Getty family and members of management. "It has been a privilege and delight to lead Getty Images," said Dawn Airey. 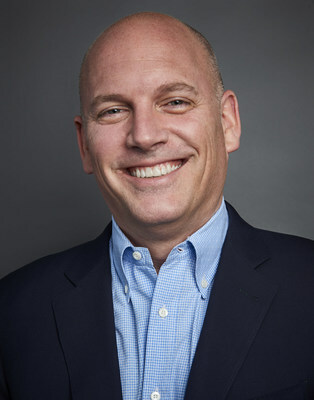 "I am confident that Craig will be a terrific leader as the Company embarks on this exciting next chapter, with a clear focus on the core visual content licensing business. Having previously appointed Craig as COO with a view to him becoming the CEO, I saw this transaction as a natural moment to pass the baton. I look forward to continuing to serve Getty Images – a company that I am passionate about – on its Board of Directors." In commenting on the leadership changes, Mark Getty said, "Dawn has been a remarkable CEO for Getty Images and I, along with the Board, would like to thank her for her significant contributions to the Company during her tenure. This transaction would not have been possible if Dawn had not succeeded in leading the business through the transformation process of these last three years. As great leaders do, Dawn also recognized Craig's talent in her succession planning, and we are excited to work with Craig as he takes on the CEO role." "I am excited by the opportunity to build upon the foundation of Dawn's leadership and accomplishments," said Craig Peters. "Getty Images' market leadership is the result of an amazing brand, a talented employee base, strong partnerships and outstanding visual content. We are committed to investing in these unique assets and providing our customers with the very best visual content to meet their needs as part of our mission to move the world with images." In the equity transaction, Paul, Weiss, Rifkind, Wharton & Garrison LLP acted as the legal advisor to the Getty family, and Berenson & Co. acted as the financial advisor to the Getty family. 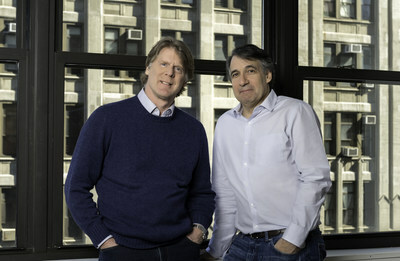 Debevoise & Plimpton LLP acted as the legal advisor to Carlyle. Weil, Gotshal & Manges LLP acted as the legal advisor to Getty Images. Getty Images is one of the most trusted and esteemed sources of visual content in the world, with over 300 million assets including photos, videos, and music, available through its industry-leading sites www.gettyimages.com and www.istock.com. The Getty Images website serves creative, business and media customers in nearly every country in the world and is the first-place people turn to discover, purchase and share powerful visual content from the world's best photographers and videographers. Getty Images works with over 250,000 contributors and hundreds of image partners to provide comprehensive coverage of more than 160,000 news, sport and entertainment events each year, impactful creative imagery to communicate any commercial concept and the world's deepest digital archive of historic photography. Visit Getty Images at www.gettyimages.com to learn more about how the company is advancing the unique role of still and moving imagery in communication and business, enabling creative ideas to come to life. For company news and announcements, visit our Press Room, and for the stories and inspiration behind our content, visit Stories & Trends. Find Getty Images on Facebook, Twitter, Instagram, LinkedIn, Pinterest and Tumblr, or download the Getty Images app where you can explore, save and share the world's best imagery.